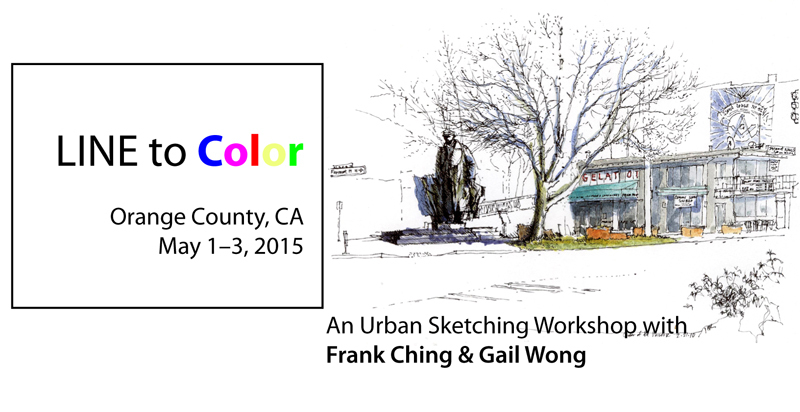 Gail Wong and I will be offering a Line to Color workshop in Orange County, CA, May 1–3. We’re excited to be able to explore and sketch locations at Mission San Juan Capistrano, Laguna Beach, and Balboa Beach. This event is being co-hosted by the Orange County Chapter of the AIA. For more information and to sign up, please see <http://workshops.urbansketchers.org/2015/02/line-to-color-workshop-orange-county.html>.